... the Doll said (kindly of course) after my holiday that I “might” have packed on a few pounds and I should think about trading my usual snacking fare for something slightly healthier and less calorific. Around the same time I went to an interesting panel discussion at Borough Market called “How London’s food scene shapes what we eat” and came away with a reinforced determination to eat seasonal and regional (albeit that all UK regions will be on my list) and that started my search for my new snack “go to buddy”. It was going to have to be something that ticked all the right snack boxes, but was versatile enough that I wouldn't be bored by Wednesday. If we were to form the necessary well-being enhancement relationship it would also have to be around for a while … so that put pave to the here today gone tomorrow lovelies like gooseberries and all other manner of delicious flora fly by nighter’s. 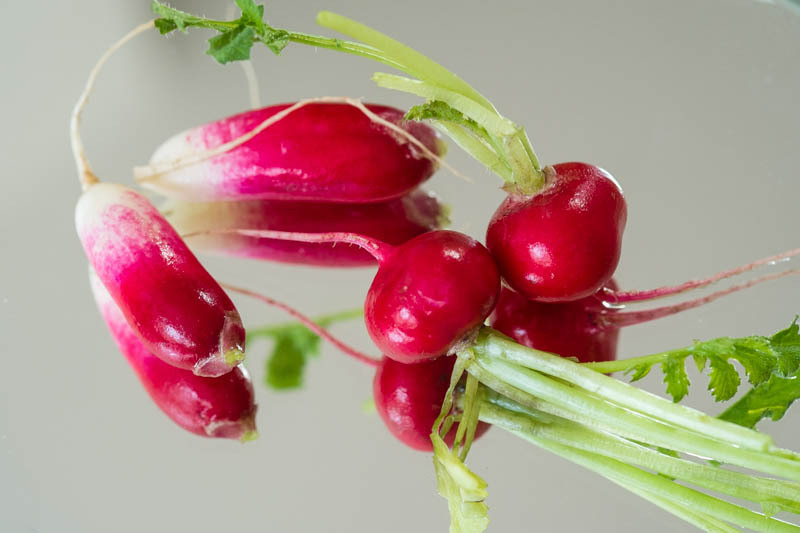 While I was looking around for a contender I found a little foodie sound bite and knew instantly that the radish was "the one”. 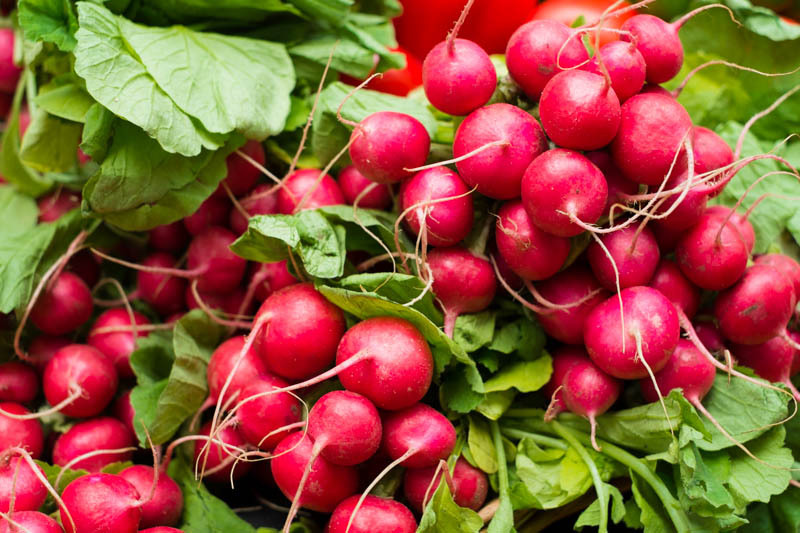 In “Gone with the Wind” the only food the starving Scarlett O’Hara can find are radishes (they pretty much grow anywhere) and as she attempts to eat it she declares (dramatically, as she was a proper drama queen) “as God is my witness I shall never be hungry again”. Not that she meant it that way of course, but little did she know how right she actually was. Nor would she have suffered from any of the diseases associated with lack of folic acid or B6 vitamin as the many varieties of radishes are packed full with these little goodies. Plus they are a really fast growing crop and are around for a good 6 months, coming on stream in April and still here in October. 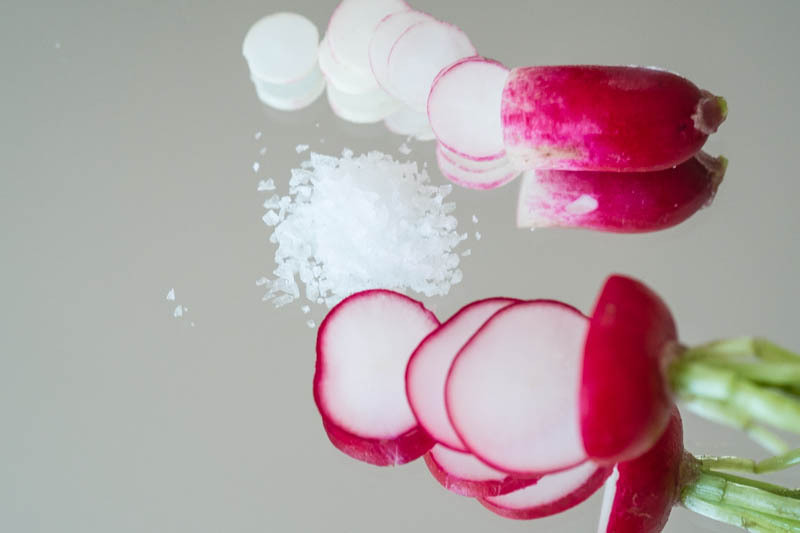 Radishes are incredibly versatile; from that French favourite of dipping them in soft butter and sea salt (delicious when you’re allowed butter) to bringing taste, texture and crunch to salads, sandwiches, vegetable platters, dips, pickles, and on it goes. Many cultures cook them as a significant part of their main meals, think Daikon in Japan. I think when cooked they add that “je ne sais quoi” quality to a dish. Thanks Ted! I do love a good radish! Hmmmmm. 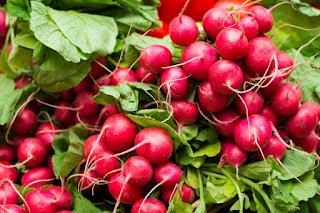 Eat radishes or gain a bit of weight? I think a bit of weight looks good on a bear. I've only had them with the occasional salad.